Today, the BMW Group has hosted an official function to celebrate the groundbreaking for a new plant in Brazil. The event took place at the new plant grounds in Araquari, Santa Catarina with participation of Michel Temer, the Vice President of the Federative Republic of Brazil, Raimundo Colombo, Governor of Santa Catarina and Ludwig Willisch, Head of Region Americas, BMW Group. The BMW Group aims at achieving balanced growth in all markets and on all continents. Fast-growing emerging markets such as Brazil, Russia, India and Korea play a vital role in this effort. By adding a new plant in Brazil, the BMW Group is further expanding the global production network, which will in future comprise 29 production and assembly sites in 13 countries on four continents. The start of operations at the new plant is scheduled for the fall of 2014. The production infrastructure is going to comprise a body shop, a paint shop and an assembly facility. Over the course of the next few years, more than 200 million euros will be invested in the plant, resulting in a productive capacity of up to 30,000 vehicles annually. The production portfolio is supposed to comprise the following models: MINI Countryman, BMW 1 Series 5-door model, BMW 3 Series Sedan, BMW X1, and BMW X3. The setup of the new site will entail approx. 1,300 new jobs; 60 new employees are already on board. Further jobs will be created within the supplier network of the new plant. For production activities in Araquari, the BMW Group is planning to source numerous components locally. This is why the company aims at building close ties with Brazilian suppliers early on. 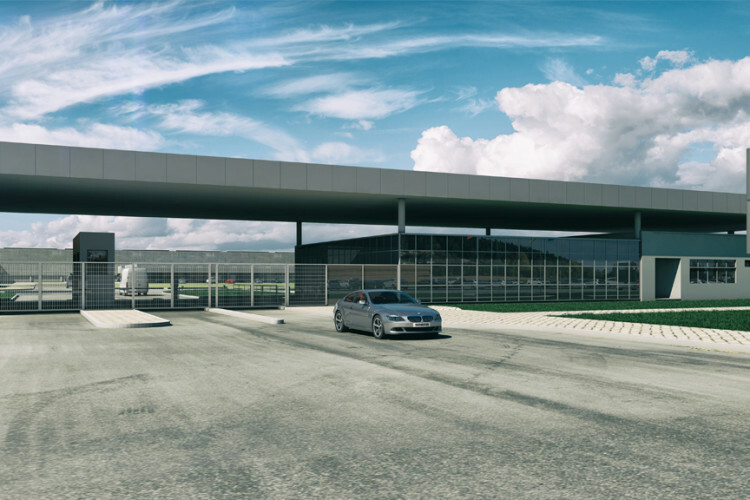 The latest BMW Group production site is located in Araquari, a town in the southern Brazilian state of Santa Catarina. This allows the BMW Group to draw on the structures established in Joinville, located about 20 kilometers north of the new plant. At Joinville’s Perini Businesspark, the BMW Group is presently setting up a training center for the new plant. The centerpiece of this facility is an assembly line for training purposes, which is in keeping with the global BMW Group production standards. At the event celebrating the start of construction of the new plant in Araquari, the BMW Group presented further novelties for Brazil: As of now, the BMW 320i ActiveFlex is available to customers; it is the world’s first engine with turbo charger and direct injection specifically designed for the flexible use of either ethanol or petrol. This innovative combination of the BMW TwinPower Turbo and the BMW ActiveFlex technology was exclusively developed for the Brazilian market. The BMW 320i ActiveFlex is the first premium car offered in Brazil that is based on a flexible fuel concept and thus gives drivers full freedom of choice with regard to the fuel they prefer to use. At the same time, the new model provides the high-performance characteristics typical of a BMW engine and the sheer driving pleasure associated with it. Another premiere was the presentation of the BMW i3 in Brazil. The BMW Group’s first fully electric vehicle, which has recently been launched in Europe, will be available in Brazil from summer 2014 on. As early as 1995, the BMW Group founded its National Sales Organization, followed in 1999 by the setup of a Financial Sales Company for Brazil. Since 2009, the company has been building motorcycles at Manaus, Brazil.